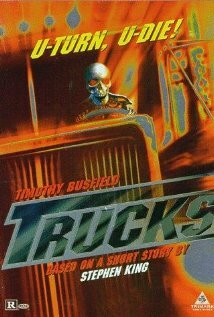 Today’s feature is Trucks, a 1997 television movie adapted from a Stephen King story about killer automobiles. 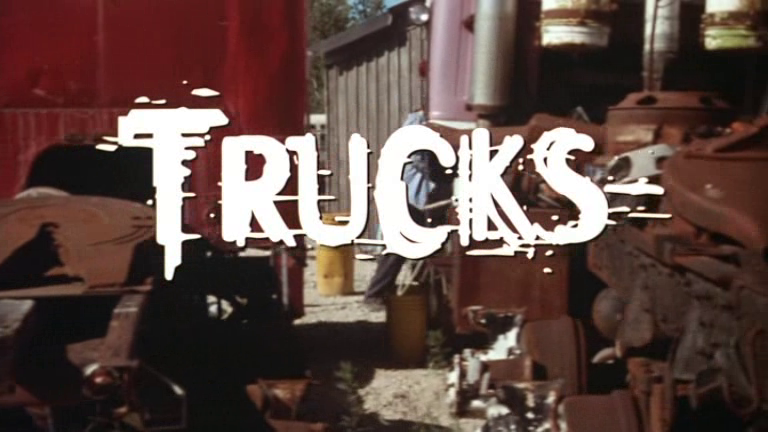 Trucks is based on the same Stephen King short story that turned into the 1986 movie Maximum Overdrive, which King himself directed and adapted. The screenplay for this made-for-television adaptation, however, was written by Brian Taggert, who also penned Omen IV and Poltergeist III. Trucks was directed by Chris Thomson, a career television director who worked on a variety of television movies, as well as on the shows Flipper and Time Trax. The cinematographer for the movie was Robert Draper, whose credits include Halloween 5, Tales From The Darkside: The Movie, and numerous episodes of both Tales From The Crypt and Tales From The Darkside. The editor for Trucks was Lara Mazur, who worked extensively on television shows like Andromeda, Dead Like Me, and Highlander. The team of producers on Trucks included Mark Amin (Leprechaun, Evolver, Leprechaun 3, The Dentist, The Dentist 2, Chairman of the Board), Bruce David Eisen (Leprechaun In The Hood, The Dentist 2), Greg Griffin (Ice Road Truckers, America’s Next Top Model), and Jerry Leider (My Favorite Martian). The effects work for Trucks was provided by a team that was made up of Pamela Athayde (Capote), Erich Martin Hicks (Babylon 5, Leprechaun In The Hood), Cara Anderson (Marmaduke, Baby Geniuses 2), Darcy Davis (Final Destination, A Christmas Story 2), Kevin Stadnyk (Deep Evil, Blade Trinity), and Rory Cutler (Iron Eagle II, The Fly II). The musical score for Trucks was provided by Michael Richard Plowman, who also did music for Laserhawk, the cartoon Sonic Boom, and a number of nonfiction documentaries like Triggers: Weapons That Changed The World, Untold Stories of the E.R., and The Man With The 200 lb Tumor. The cast of Trucks includes Timothy Busfield (Revenge of the Nerds, Field of Dreams), Brenda Bakke (Demon Knight, Under Siege 2, L.A. Confidential), Aidan Devine (A History of Violence), Jay Brazeau (Insomnia, Best In Show), and Brendan Fletcher (Freddy vs. Jason). Based on the short story by Stephen King, this tells the tail of trucks suddenly coming to life and attacking their owners. Given that Trucks was a television movie, it wasn’t particularly widely seen. That said, the people who did see it didn’t exactly like it: the movie currently holds a 3.8 user rating on IMDb, along with a 30% audience aggregate score on Rotten Tomatoes. Comparisons between Trucks and the earlier adaptation of the same story, Maximum Overdrive, are unfortunately impossible to avoid, which doesn’t do Trucks any favors. As much as Maximum Overdrive is a bad movie (a good bad movie if you ask me), it was also a big movie with impressive effects work and a sense of visual spectacle. Trucks, being a much smaller production, just can’t compete with what Maximum Overdrive put on screen. Likewise, the low-budget cast isn’t nearly as impressive, which is saying something given how weak the performances were in Overdrive. Overall, outside of a couple of memorable highlight moments, Trucks is just an immensely forgettable movie. 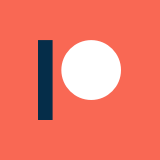 It mostly exists as a footnote on the much better known Maximum Overdrive, but I think it is worth checking out for die-hard Stephen King fans, or for people who got a good laugh out of Overdrive. Trucks does take itself a bit too seriously, and never quite feels fun, which I think was a mistake for what is a pretty goofy premise. However, the handful of highlights make it worth digging up for bad movie fanatics.